Adobe Stock is Adobes own offering of stock images and templates. If you are already using Adobe Apps you will probably noticed it becoming a bit more prominent in the Creative Cloud Libraries panel which is located in Adobe Photoshop, Adobe InDesign and Adobe Illustrator. The great thing about Adobe Stock is that you can download assets and images from the stock library directly in to the App that you are using so there is no need to enter a web browser and login to another site then download and place in separately. 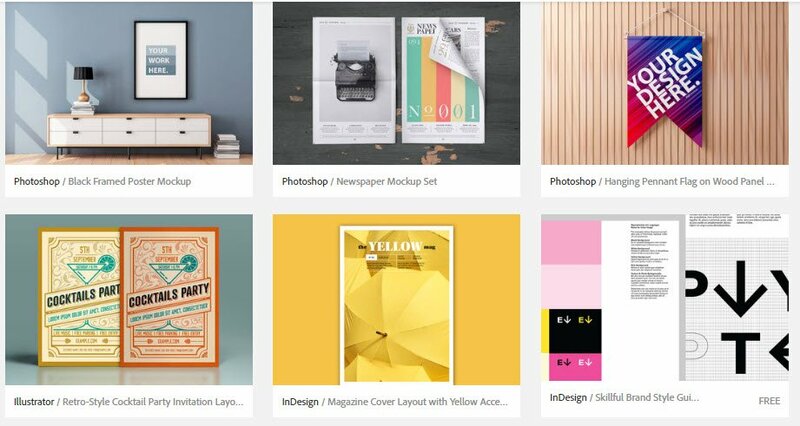 There is also a huge amount of Adobe Photoshop, Adobe InDesign and Adobe Illustrator templates that you can download and edit, literally hundreds of them that are really good quality! Of all our customers who have subscribed to Adobe Stock after attending our courses they have all commented how superior the quality of the content is compared to its competitors, the images are very contemporary and for every search term that we try there is always a really good array of options for us to use. When you subscribe to Adobe Stock you get a FREE 30 day trial and with that you get 10 FREE images, then when your subscription starts you will get access to a huge selection of fantastic assets to use within any of the Creative Cloud Apps. The Assets within Adobe Stock include Photos that are updated daily with new content, Premium Photos from Adobes own community of creative professionals, HD and 4k video content in a huge variety of popular themes, Templates that can be used directly in Adobe Photoshop, Adobe InDesign and Adobe Illustrator, all created by artists and can be used for print, web or mobile applications, Vector artwork and illustrations and there is an editorial section that covers up to date newsworthy content covering news, sports, entertainment and global trends. The really clever thing is that you can preview all of the Adobe Stock content within your Creative Cloud apps using the watermarked lo res versions of the content completely free of charge then when you are happy with the content you wish to use you can download and licence the hi res versions directly in to Adobe Photoshop, Adobe InDesign or Adobe Illustrator and it will swap the lo res version for the hi res version automatically and you are ready to go! Adobe have also created a variety of subscription options to suit different needs for Adobe Stock and it all depends how many assets you would need per month, the lowest subscription at the moment is £17.99 for 3 assets, then the next one up is £19.99 a month for 10 assets and finally if you are looking to access the HD and 4K videos it is £47.99 per month. I would recommend that even if you don’t need to use all your assets that you are entitled too that you still download as many assets as you can as you will soon build up a big library of images and templates that can be used anytime royalty free. So if you are already using Adobe Creative Cloud Apps Adobe stock really is the superior choice and is fast becoming the number one in stock imagery and assets. Are you looking to learn about more about the Adobe Creative Cloud Applications? At Creative studios in Derby we have a number of Adobe Training Courses for all levels of ability and need. 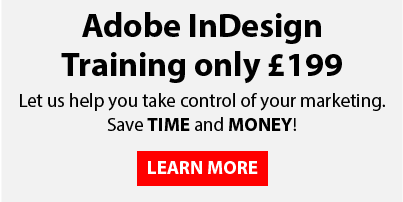 We regularly run Adobe training courses in Adobe InDesign, Adobe Illustrator, Adobe Photoshop and Adobe After Effects to name a few. If you are interested in getting up to speed with any of the Adobe Creative Cloud Applications check out our upcoming courses, or if you would like to have a quotation from us to come to you and train in your own offices just fill out the form below and we will get back to you with more information and a no obligation quotation.